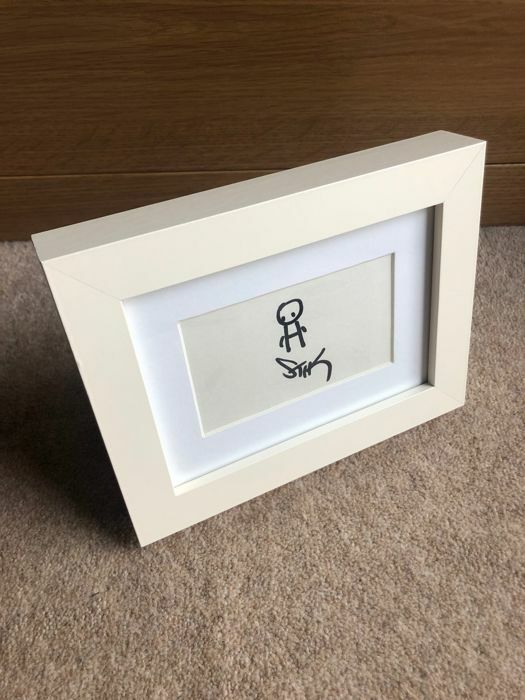 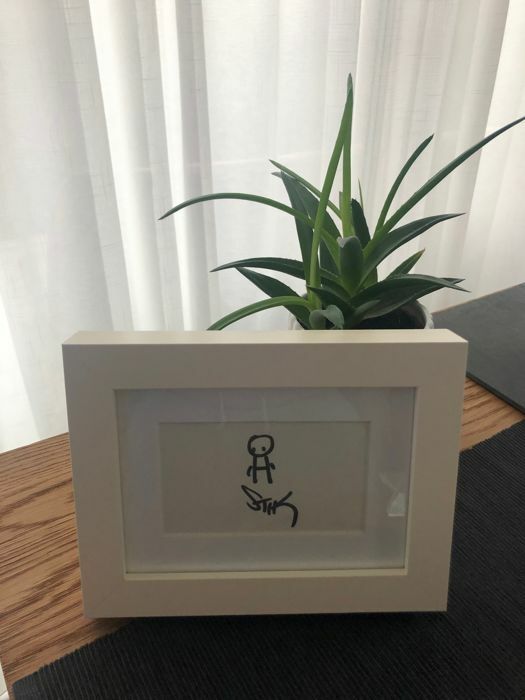 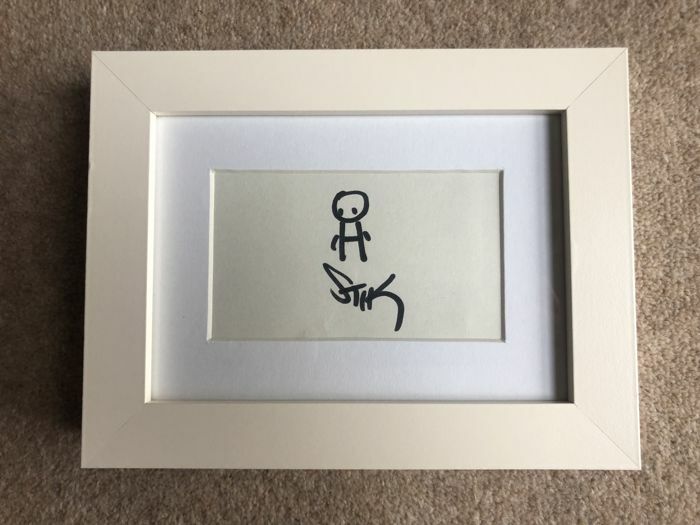 This is an opportunity to own an original doodle by the London street artist, Stik. 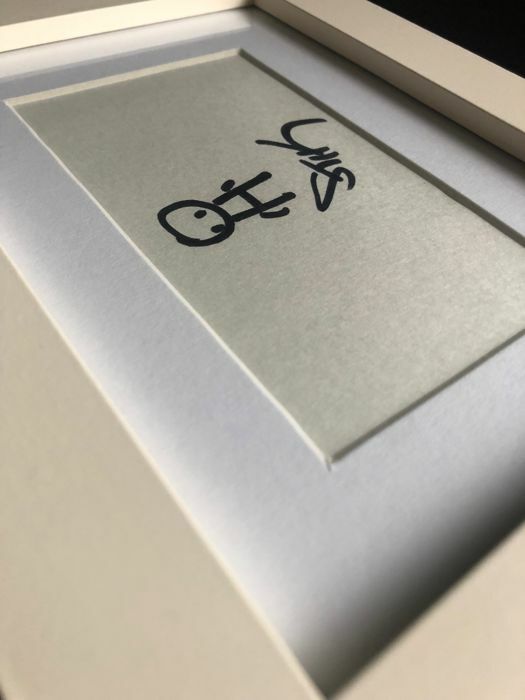 Framed to full archival quality with acid free backing. 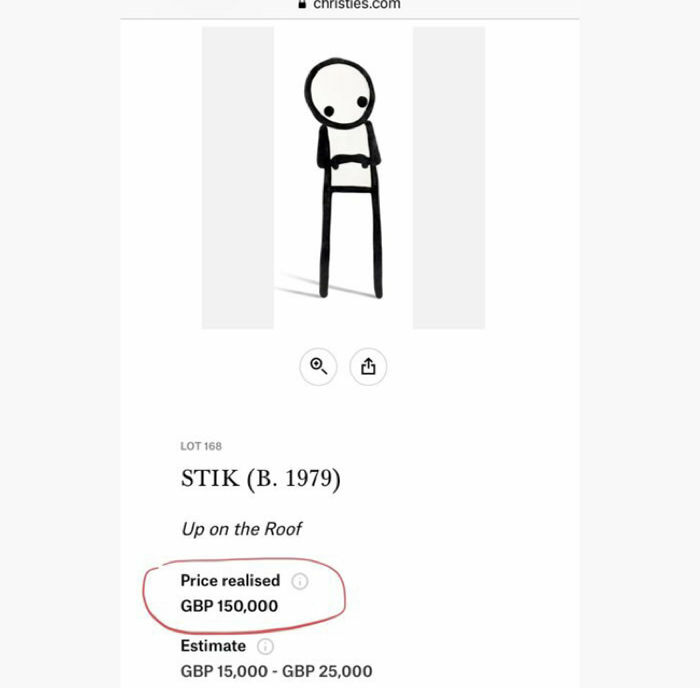 Stik has gone on to become one of the most famous and collectible street artists in the world, whose fame has grown with celebrity endorsements and rising auction prices. 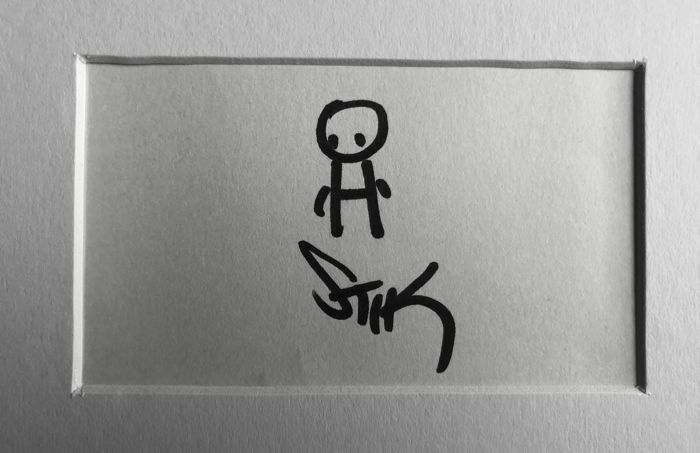 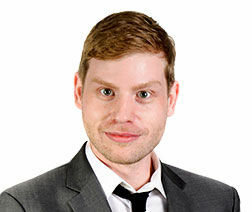 He recently set a record for a stik purchased at auction - selling for over £150,000. 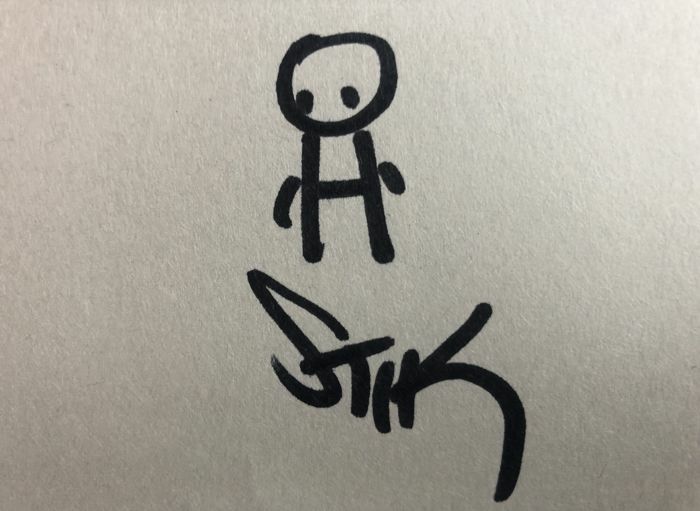 This is an original stik doodle with signature on paper and is not a copy or reproduction. 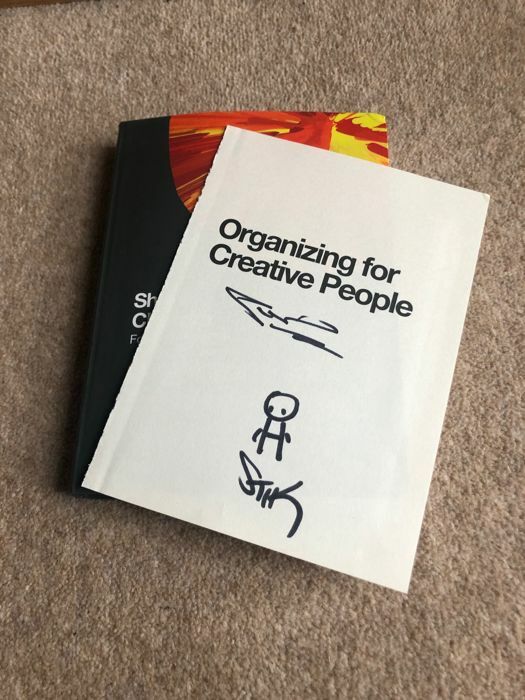 This was one of a few doodles, each unique, acquired as part of the signing of first edition copies of 'Organizing for Creative People' by Stik and Sheila Chandra, Foyles Charing Cross.